MUA national secretary Paddy Crumlin says the current set of coastal shipping rules are the result of years’ of debate with the previous Labor federal government. But Infrastructure Minister Warren Truss has labelled the 2012 reforms as uncompetitive, protectionist and a “sop to the Maritime Union”. The union says the rules attract private investment. 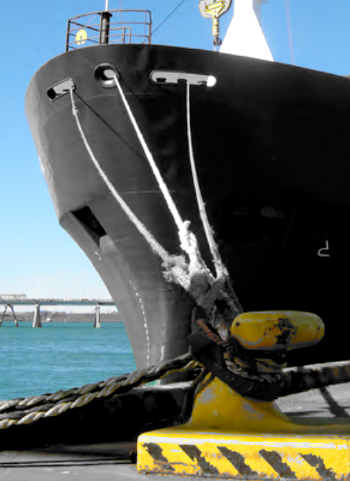 The Infrastructure Minister outlined a reform agenda for the 2012 rules at a shipping conference in Sydney this week, and has received the backing of the National Farmers Federation (NFF). An NFF spokesperson told reporters that the changes outlined by Mr Truss would improve the entire freight network and boost productivity beyond just the import/export points. They say the current coastal shipping rules inhibit some services on the coast, making shipping too expensive for the majority of farmers and pushing domestic freight off ships and onto the road and rail network. The Maritime Union’s spokesperson Paddy Crumlin told ABC reporters that the claim that domestic shipping was too expensive is aimed at targeting the MUA in an ideological agenda. “We're a shipping nation, we have been since colonisation. “These guys [Federal Government] are out there, mounting a pogrom, a jihad, against Australian seafarers for goodness sake,” Mr Crumlin said.